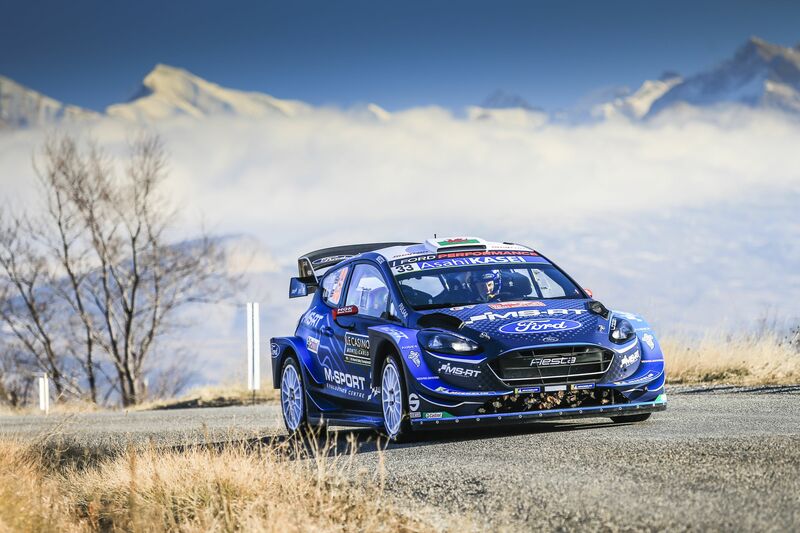 Elfyn Evans heads into this weekend’s Tour of Corsica on top form. Elfyn Evans heads into this weekend’s Tour of Corsica with a lot of confidence. It’s the event where he led a round of the FIA World Rally Championship for the first time, he’s always gone well there and it follows a podium finish in Mexico. At long last, things are most certainly looking up! Corsica is one of the most technical rounds of the WRC, as road condition and surface temperature change as the long stages twist and turn there way around the mountainous Mediterranean island. The event has a long history in the sport, and it’s gained the nickname of The Rally of 10,000 Corners for good reason. Maybe it’s driving the legendary Welsh rural mountain roads, like the Abergwesyn Pass, in his youth that has fine-tuned Evans’ asphalt driving technique, but whatever it is the 30-year old from Dolgellau has always been on top form in Corsica – finishing a career best second in 2015. A comprehensive pre-event test on the island last week in his Ford Fiesta WRC, which is fitted with the very latest aerodynamic updates, went well, and now Evans and co-driver Scott Martin are ready for Thursday night’s ceremonial start in Porto Vecchio. Three long days of flat-out driving follow, with limited servicing and 14 stages totalling 216 miles – the longest of which is the 29.3 mile Castagniccia test, which is tackled twice on Saturday. The finish is in Calvi on Sunday afternoon. “I’m looking forward to the first proper Tarmac event of the season, and this year’s Tour de Corse will be a real challenge with about two-thirds of the route made up of completely new stages,” said Evans. “The recce is going to be really important and there’s going to be a lot of work needed on the pace notes. “This is a demanding rally but the stages themselves are really nice to drive. It was great to get a podium last time out in Mexico, and that really propelled us up the championship standings. It gives us a top-five starting position, and we need to capitalise on that and aim for another strong result.